It has been a year since the passage of the Credit Cardholders Bill of Rights, also known as the Credit Card Act. Along with Wall Street reform and the creation of the new Consumer Financial Protection Bureau, it just might now be easier to avoid financial traps. I’ll admit it: I know more about the ingredients in the food I eat than the fine print governing my credit card. I sincerely doubt that I am alone, and most of the time, this is not a problem. Until financial disaster struck the United States in 2007, I shared with many Americans a presumption that the system is fair and reasonable, and that I did not need to read the fine print. But it seems that things were getting out of hand. I’m happy to say that help is on the way. Prior to passage of the Credit Cardholders’ Bill of Rights and the Dodd-Frank Wall Street Reform and Consumer Protection Act, lenders were increasingly using mountains of fine print to increase charges to credit card holders and other borrowers. 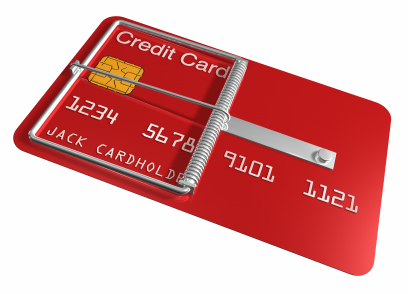 If you went over your credit card limit, the bank could simply pay the amount, charge you special fees for having gone over, raise the interest rate on your existing balances, and downgrade your credit score. Debit cards once seemed like a solution to these problems, since you can only spend what is in a bank account. But in fact banks often allowed cardholders to run overdrafts and then charged extra fees. Even such apparently transparent words as “fixed rate” or “prime rate” did not necessarily have their common sense definitions, because they could be redefined in any way the bank or mortgage lender pleased – in the fine print. Lower down the economic ladder, things were often not fair or reasonable. Twenty-nine percent of Americans do not even have a credit card. Some of those individuals are financially solvent, but many are not (not that all credit cardholders are either) and, surprisingly, they have lots of credit options. Check out a payday lending site, and you will discover how to sign over your car for cash, obtain a debit card that provides cash advances (huh? ), get a check cashed the same day, get a payday loan or, if that’s not enough, get an installment loan. If these all sound like such bad ideas, since the consumer ends up paying steep fees and high interest rates, that no one would use them, think again: millions of Americans are living hand-to-mouth and are relying on these services and often going deeper and deeper into debt as a result. And sometimes unscrupulous marketers target unsuspecting people for higher interest loans when they could have qualified for lower cost loans. Studies show that in 2006, 61% of subprime home loans went to people who could have qualified for loans with better terms. Women and people of color had more subprime mortgages at all income levels than white men. As we go forward from this financial crisis, we need to know what we are and will be paying in interest and fees for any type of loan. And that is where the Consumer Financial Protection Bureau (CFPB) comes in. Under the leadership of Elizabeth Warren, Leo Gottlieb Professor of Law at Harvard University who long advocated for its creation, CFPB is gearing up for full-scale operations in July of this year. The new CFPB will emphasize the value of transparency, of letting the sun shine in, and this will help all of us. Financial reform is not about making lenders pay for past misdeeds and shenanigans, although some of that perhaps should occur. It is instead the promise of the public knowing what they are getting into when they sign up for a credit card, take out a mortgage, or get one of those debit cards with cash advances. Individuals and families will have a far better idea of whether they should or should not take on such debt. Those who should not be taking on debt will be more likely to avoid it, and those who should will be more likely to be able to do so with a clear understanding of the costs. Our economy will not recover until consumers feel secure, until they feel like the rules of the financial game are clear and not subject to change without notice. The Consumer Financial Protection Bureau holds the promise of helping to do just that. The CFPB is one important piece of the puzzle involved in rebuilding our economy, and an extremely important one for women, who have often been a disproportionate share of the victims of poor practices in the industry and of outright scams.